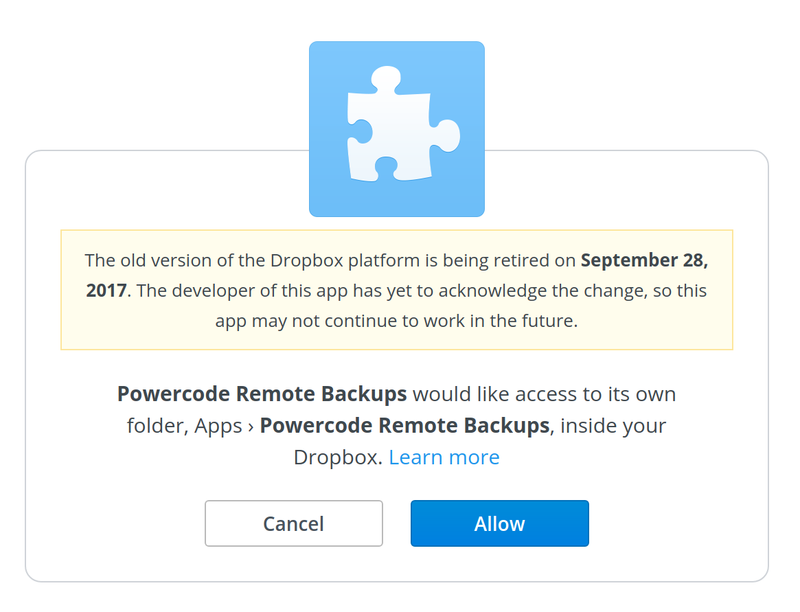 As of 17.10.19, Powercode’s backups integration for Dropbox has been updated and may require you to authorize your account again for your backups to Dropbox to continue functioning. 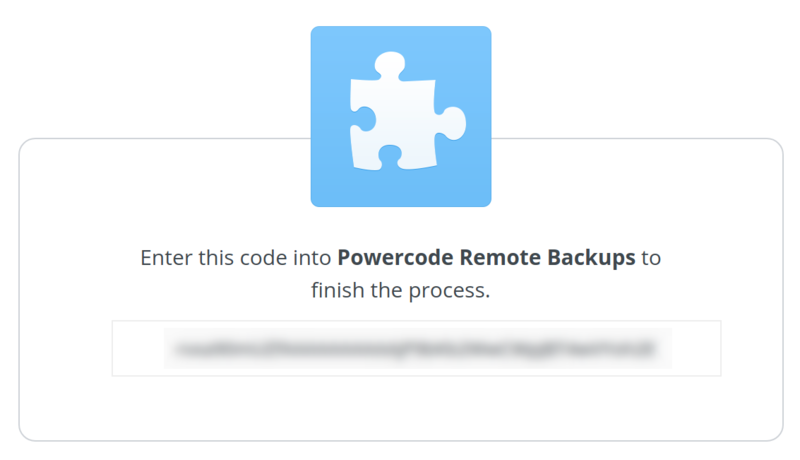 Below is a quick guide focusing on how to reauthorize your Dropbox account for Powercode to push the backup files to. If you are not using Dropbox, you can ignore this post. On a side note, we will be providing Amazon S3 as a backup destination option within the next couple weeks. You will now be routed to Dropbox’s site where you will generate an authorization code. You need to give Powercode permission to save backups to your Dropbox account. 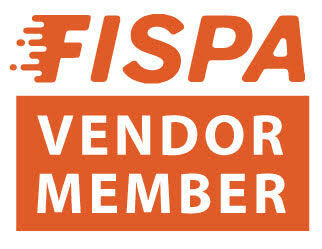 Now that you have an authorization code you can continue with the process in Powercode. Enter the remaining information to complete the backup settings. 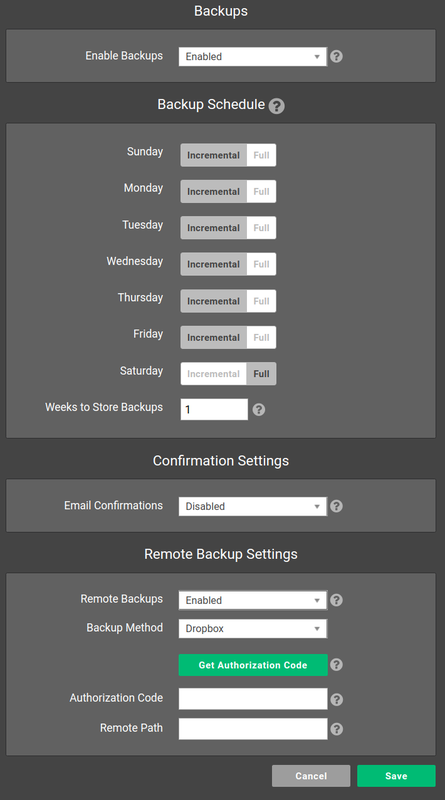 Powercode is now configured to save backups to your Dropbox account.